The Northern Lights at Thakoon shimmered down the runway in an array of blues, golds and greens. Designers are creating their runways more like art installations as the seasons progress. 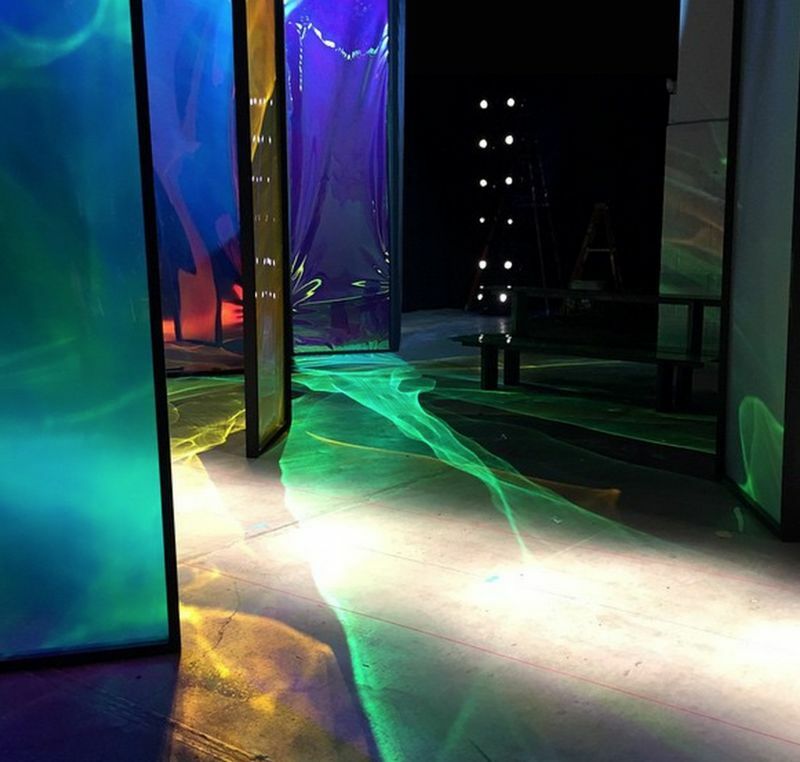 By placing colored translucent boards at the top of the runway, the lighting crew was able to shine light through the boards to create an artificial aurora borealis. The clothing in the show mimicked the North Pole's lights. The dark crimson dresses, fur turtlenecks and minimalist grey coats floated down the aurora-lit runway. The waving lights payed homage to the landscapes of northern Canada, northern Russia and Scandinavia. Thakoon created a beautiful array of clothing to match his artificial aurora borealis lighting. The Northern Lights at Thakoon help pave the way for innovative art installation runways.